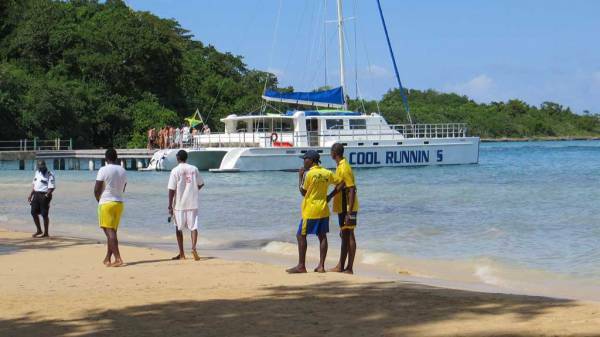 You can purchase independent tours at the cruise port for your Ocho Rios Shore Excursion. 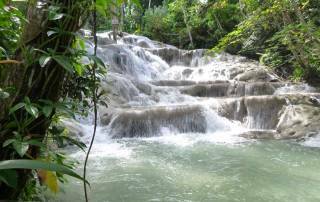 The combination of Mystic Mountain and Dunn’s River Falls is our top recommendation. 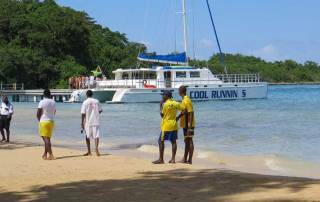 It includes transportation between the sites and the cruise terminal. 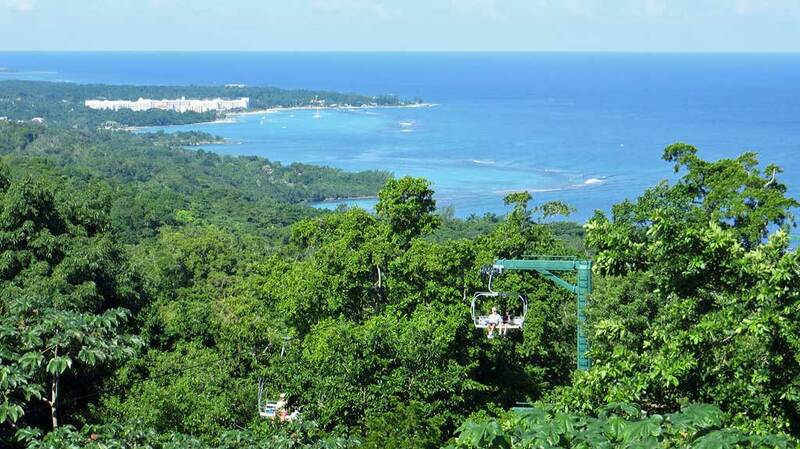 It also includes the aerial tram to get to Mystic Mountain. Pricing options for Mystic Mountain include the famous bobsled run and a zip line. 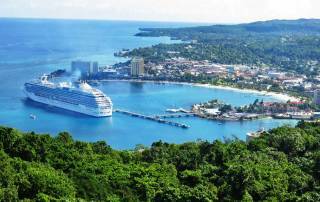 We found the cruise ship excursion prices to be competitive for these two venues, so we booked directly with our ship. Our first stop on our Ocho Rios Shore Excursion was Rainforest Adventures Mystic Mountain. 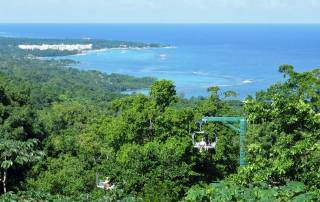 You start by taking the Sky Explorer aerial tram to the top of the mountain. 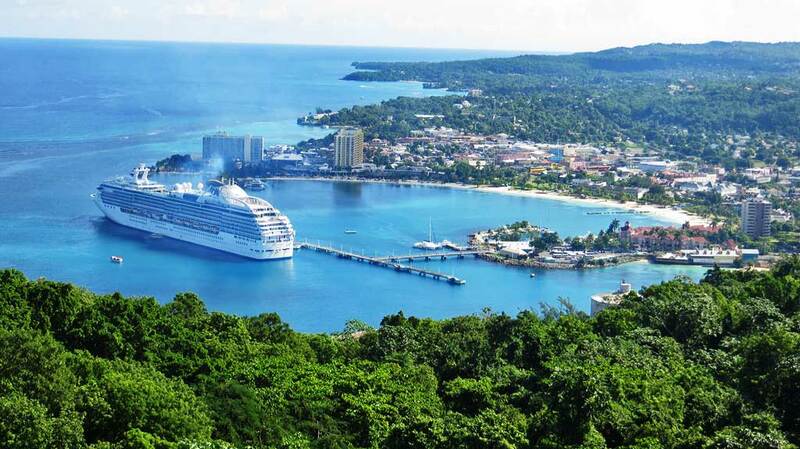 There are nice views to Ocho Rios and the cruise port at the base of the hill. Our tour included a ride on the famous Jamaican Bobsled Run. 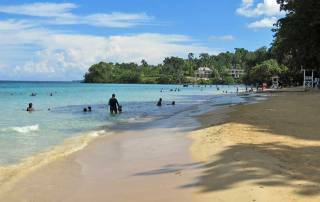 The 1993 movie Cool Runnings inspire the creation of the bobsled run.. The single person bobsleds have a driver controlled hand brake. Don’t use it though. You’ll have a lot more fun. Staff members can quickly join two cars together, if you want to go in pairs. The circuit is really a roller coaster track. The run descends 1,000 meters (0.6 miles) and is gravity driven. On the way down, you reach speeds up to 60 kph (40 mph. At the bottom, the ride continues at a more leisurely pace, because the bobsled is pulled all the way back up the hill with you in it. 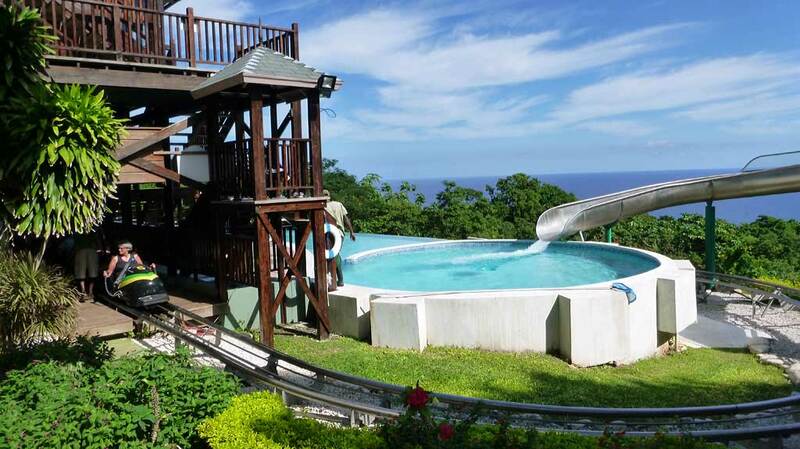 The grounds also include a restaurant, a small waterslide and a small hummingbird garden. 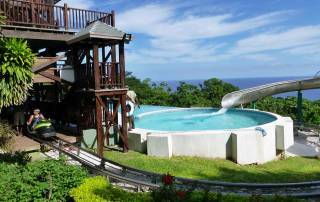 For an extra fee you can visit the butterfly garden or ride the zip line. The bobsled run is the highlight of this experience. 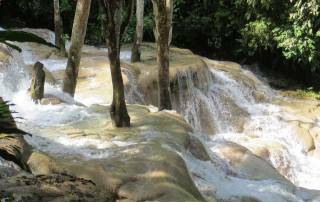 The second part of our Ocho Rios Shore Excursion was a visit to Dunn’s River Falls. You can climb up in the waters of the 600 foot falls or you can walk the entire route beside the river. For those doing the climb, be prepared for swift running cool waters that are sometimes waist deep. You can buy or rent water shoes at the park. There are rental lockers for your possessions that aren’t water proof. 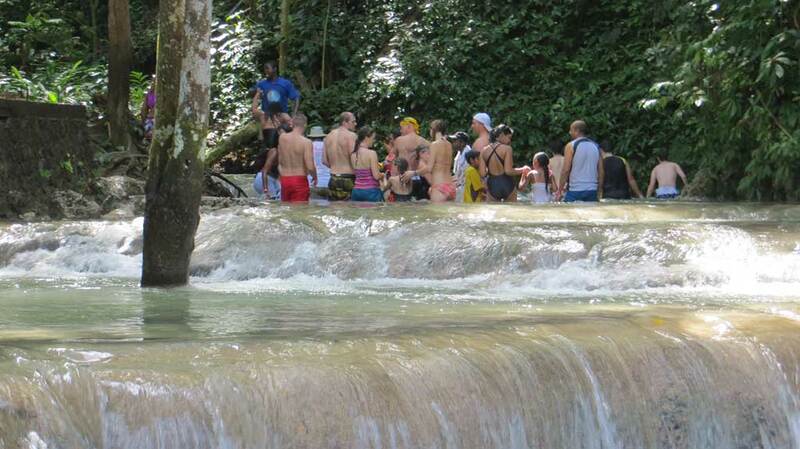 For those climbing in the water, a guide takes groups up in the falls for about half hour. 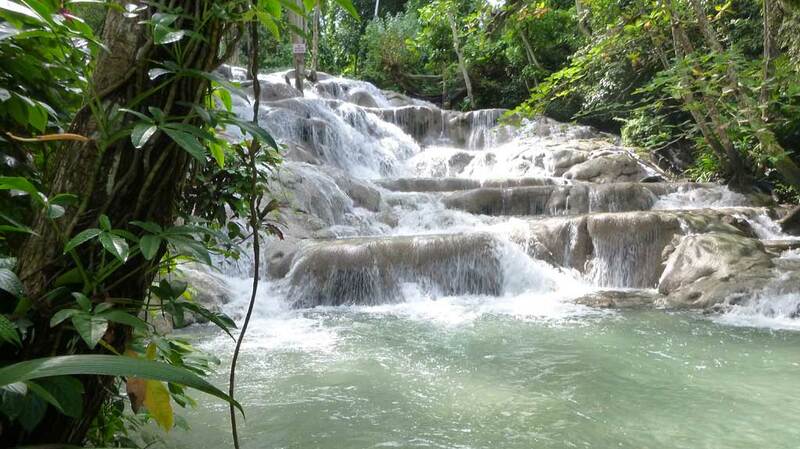 They start at the bottom of the falls, where the Dunn’s River enters the Caribbean. For those walking along side the falls instead, there are several spots where stairs allow you to enter the water . 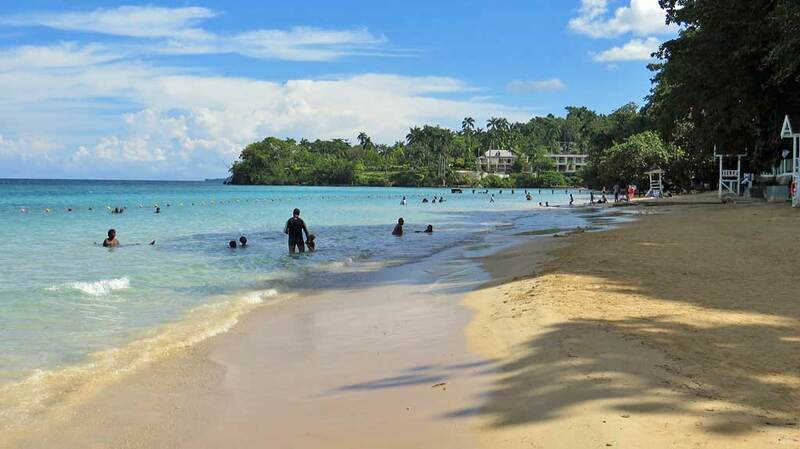 You can also walk or swim at the beach. 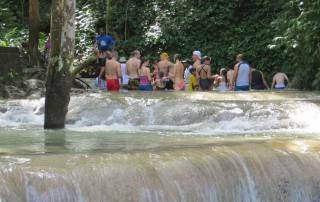 Those who walk on the path get the opportunity to watch the tours climb the falls. 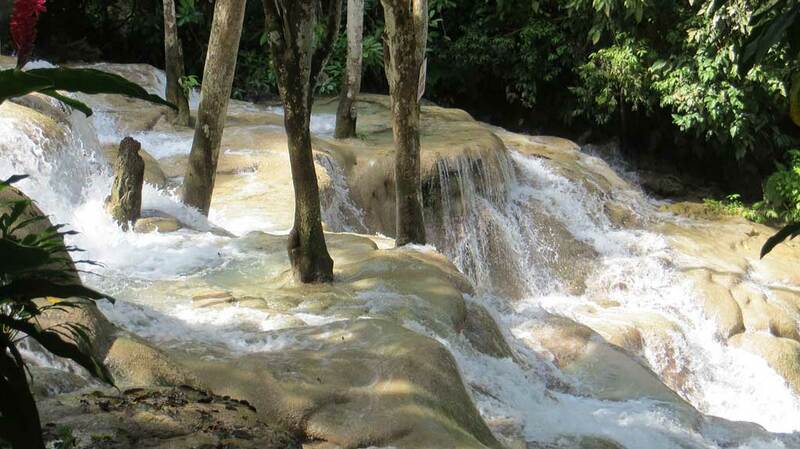 Those who climb in the falls get a refreshing experience shaded by the rainforest. Highly recommended regardless of which option you choose.